bake @ 500 for half and hour then an additional 45 minutes or so at 460. If using a dutch oven these baking times may very dramatically. If you have a warm house the fermentation times will very, dramatically. If you have a nice room temp I would suggest knocking down the amount of preferment. Also you all may notice that my percentages sometimes have some fractional wiggle room, my scale goes in one gram increments and I want to keep my percentages free of decimal points so there ya go. I have been having a heck of a time getting good results this winter due to a 60ish degree house, so this time around I bumped the preferment % up a lot more then I would of otherwise enjoyed. Also I gave it a much longer room temp proof then I would of if my house was ten degrees warmer. This bread turned out real nice tasting, sort of nutty from the fermented cracked spelt but probably a touch more acetic then I shoot for due in part to the long cool/cold fermentation. There is some fancy do scoring on this one! 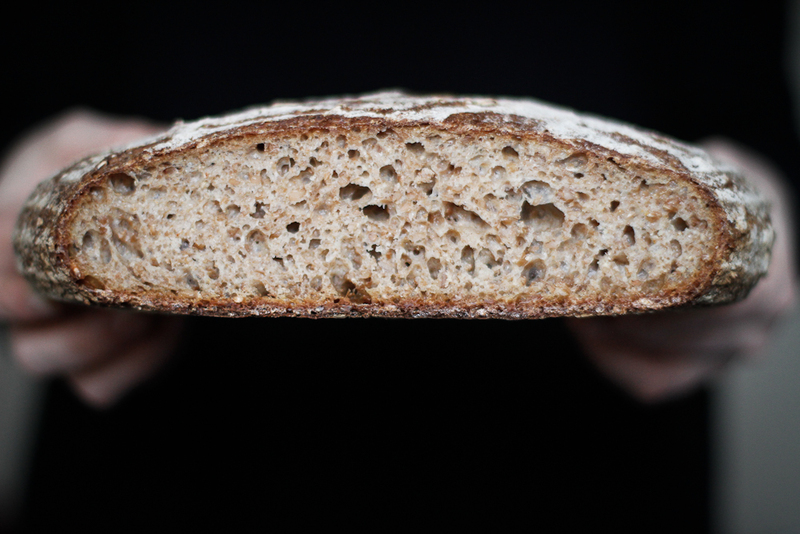 I fermented the spelt by mixing equal weights cracked spelt and warm water and mixing them in a jar with a lump of mature levain. I let that sit for 12 or 16 hours and it smelled good and sharp when I was ready to bake, so i rinsed the berries in more warm water and strained them. I also ate some and they tasted great. 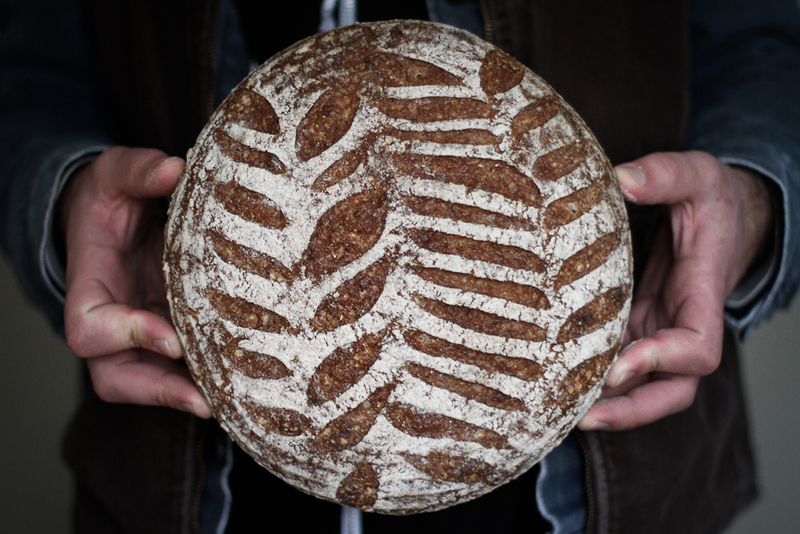 Beautiful scoring and love your experiment with the cracked spelt. So how did you do the scoring? Did you use a stencil first? no stencil here, just going for it with the lame, sort of starting in the middle (the third row from the left) and expanding out from there. It was good tasting as well as good looking. It kept very well as well. Very nice scoring! Your bread really has personality and character! Your always an inspiration! I'm back, and with a mill!